Would you like to keep your skin plump and smooth then it is good time to check OZ Naturals Hyaluronic Acid Serum. We are all facing the abundance of skin care including serums claiming to make us young and beautiful. While some serums contain a set of features and working in fixing different problems like fine lines, pigmentation and pores and many others all in one, there are products which intended to focus on few certain skin issues. 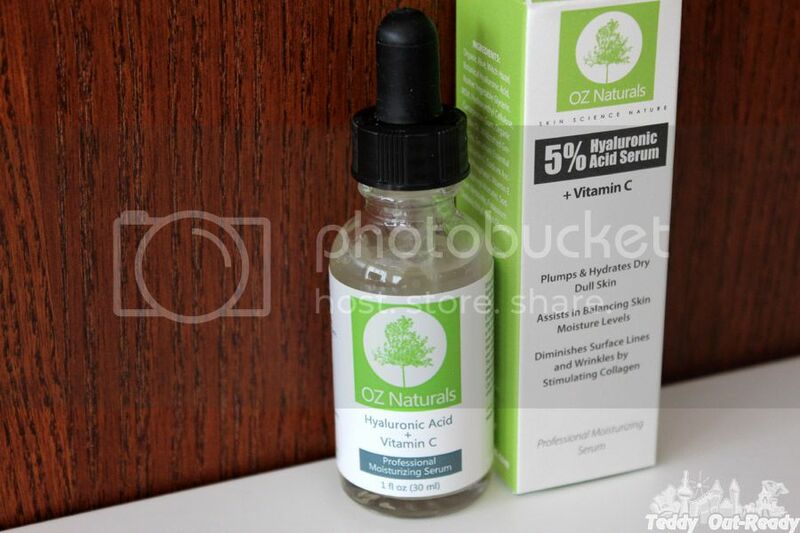 Glad to introduce one of my favorites OZ Naturals Hyaluronic Acid Serum. This serum is designed to balance skin moisture level, reduce fine lines and wrinkles. Getting older bring much more surprises than expected. My skin is not that youthful and plum as 10-15 years ago. I know if I skip my beauty routine in the morning or go to bed without cleansing and moisturizing my skin, I see in the morning the person in the mirror, not my favorite one. Great quality skin care products is what I always looking for and OZ Naturals has really good ones at affordable price. I like that OZ Naturals Hyaluronic Acid Serum made of organic and natural ingredients, and the fresh smell it has makes you feel you are sitting under the tree in a spring garden. I found the best way for me to apply this serum in the morning. Hyaluronic Acid as a major ingredient pulls the moisturizer deeply into the skin to reduce and smooth wrinkles. The serum makes my skin soft and even, I also notice how radiant and bright my skin becomes after using. I find it is better not to apply the serum to treat eye wrinkles, because it keeps under eye area a little dry. The best way to use OZ Naturals Hyaluronic Acid Serum is after cleansing your face and then add a moisturizer as usual. Ready to look younger and have refreshing look for spring and summer, increase hydration for your skin and improve elasticity, OZ Naturals Hyaluronic Acid Serum can help with that. It is one of best seller facial serums on Amazon and the price is pretty good for all the amazing benefits it brings. Check it out here.